Experts say about 10 percent of women may suffer from it. Most women are familiar with the oh-so-fun symptoms of premenstrual syndrome (PMS), like cramps, mood swings, and bloating. But for some women, these symptoms persist after their periods are over. Postmenstrual syndrome is the lesser known and less researched cousin of premenstrual syndrome. While more than 90 percent of women say they get PMS, only about 10 percent of women are believed to experience these symptoms after their periods, according to Dr. Christine Greves, an OB-GYN at Orlando Health Winnie Palmer Hospital for Women and Babies. Postmenstrual syndrome isn’t a formal name in medical literature, explains OB-GYN Dr. Kim Langdon. However, “Labeling these symptoms [with the name postmenstrual syndrome] can help women feel less alone, and provides an easier way to talk about it with their doctor,” Dr. Greves says. Dr. Kecia Gaither, the director of perinatal services at NYC Health+Hospitals/Lincoln and a double board-certified physician in OB-GYN and Maternal Fetal Medicine, says that while there are similarities between the symptoms of premenstrual syndrome and postmenstrual syndrome, the difference lies in the onset of symptoms; for example, with postmenstrual syndrome, a woman may have cramps shortly after menstruation ends. And with postmenstrual syndrome, Dr. Gaither says the psychological symptoms appear to be more exaggerated. 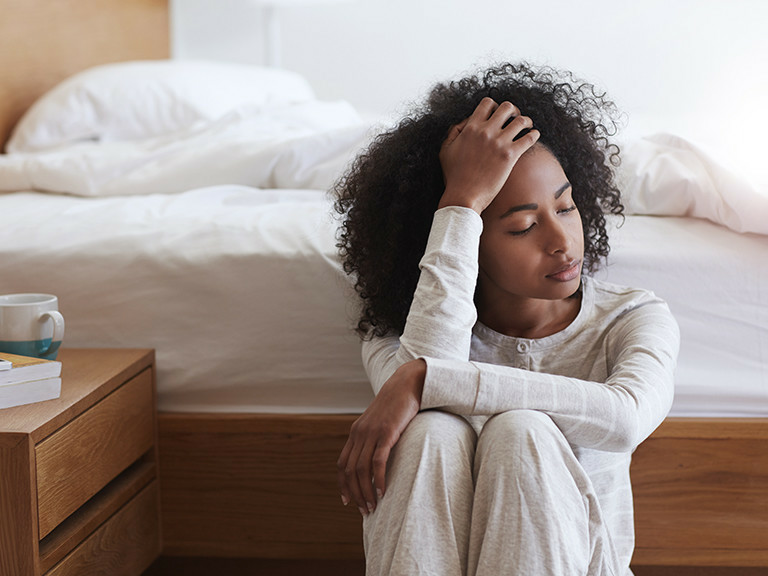 “Some of the emotional signs of postmenstrual syndrome are difficulty sleeping, irritability, mood swings, lack of coordination and, in some severe cases, depression and low self-esteem,” Dr. Greves says. She also notes that a possible physical sign to be on the lookout for is vaginal dryness. To help treat postmenstrual syndrome, Dr. Gaither suggests treating it the same way you would regular PMS: getting regular exercise, limiting your salt and caffeine intake, drinking more water, managing your stress, and making sure you’re getting enough sleep. To make it easier to discuss things with your healthcare professional, Dr. Langdon recommends keeping a written record that you can show your doctor. “Try to keep a diary of your symptoms to see which ones occur on which days and rate them in severity,” she explains. “Keep track of food, alcohol, and caffeine intake.” Showing the diary to your doctor can help them understand how your life is being affected, and help them guide you to a path to feeling better.